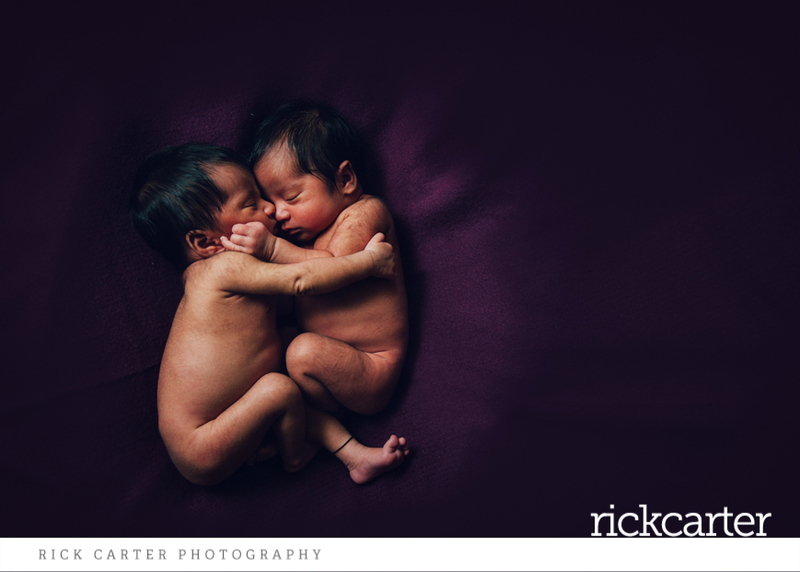 Specialist Hampshire Newborn Baby Photographer, I work right across Hampshire in Southern England, including Southampton, Winchester, Basingstoke, Petersfield, Portsmouth, Chandlers Ford and everywhere else in Hampshire. 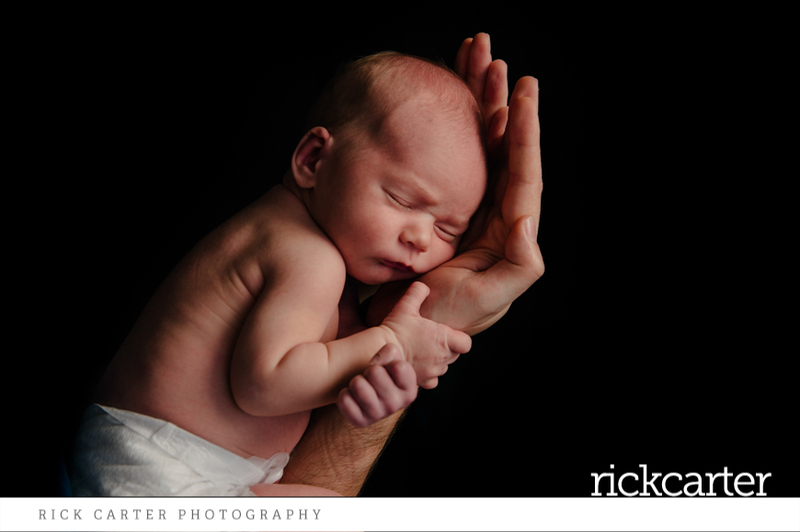 I specialise in newborn photography from birth and beyond, producing stunning and natural photos of your newborn. 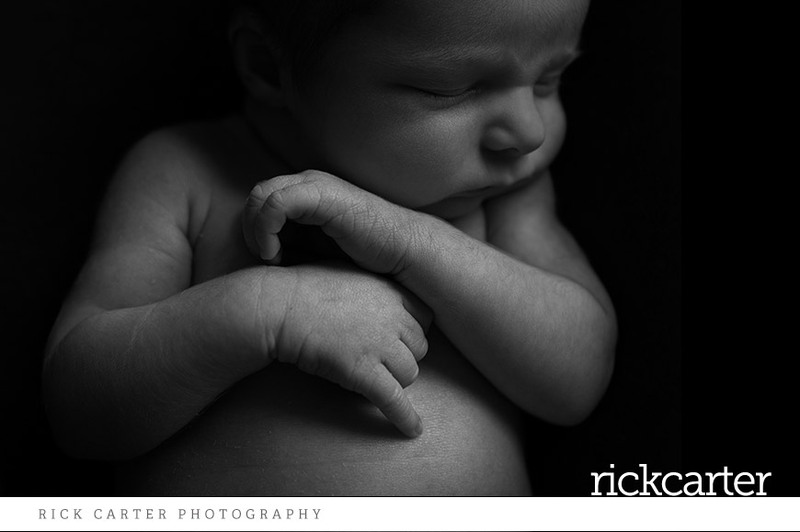 I photograph Hampshire newborns from as young as 1 day old. 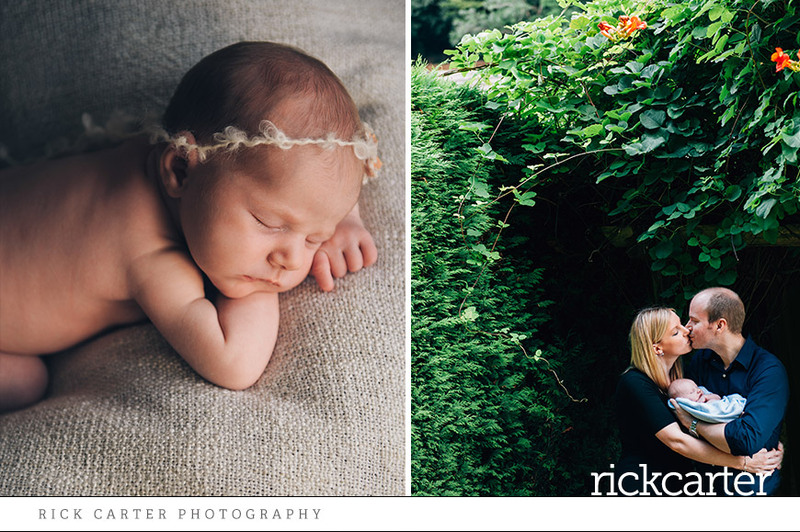 Ideally it’s best to book your Hampshire newborn photography BEFORE the “big day” – usually we’ll book a provisional newborn photoshoot date two weeks after your due date, this tentative date can then be moved around as part of the allocated edited time I have in the week. 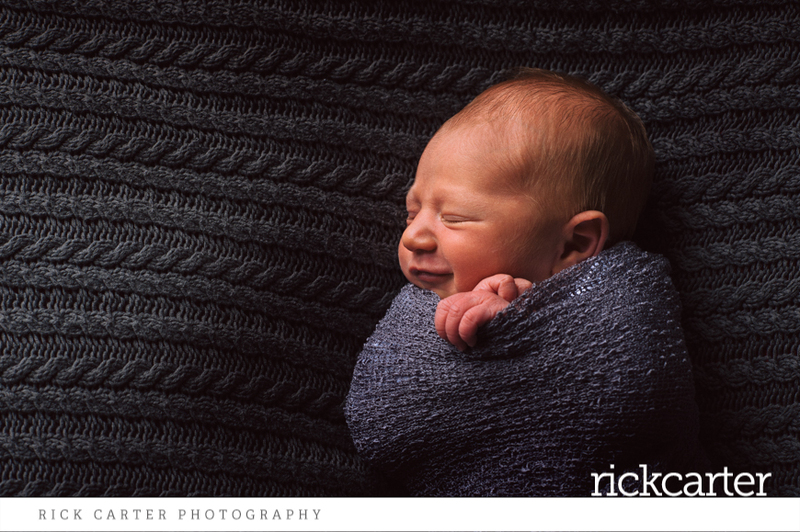 I’m pretty strict about getting professional newborn photos in those first two weeks as newborn babies are at their sleepiest allowing for more sleeping / calm time. 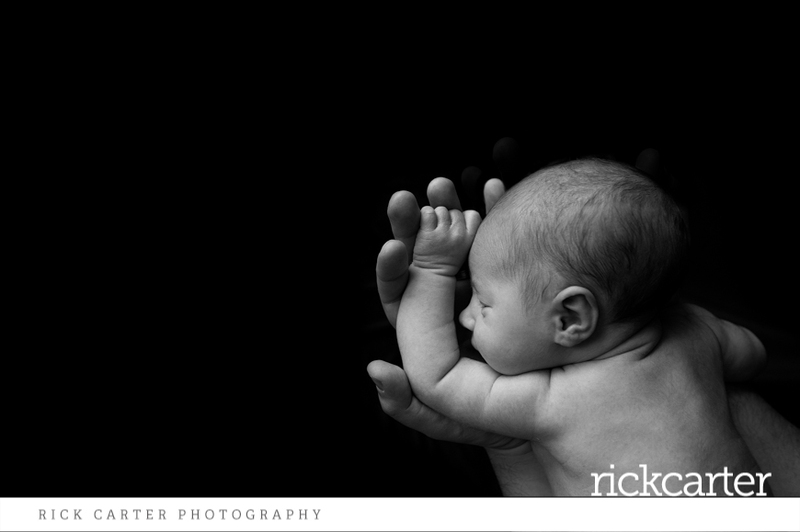 How does a Hampshire new born shoot work? 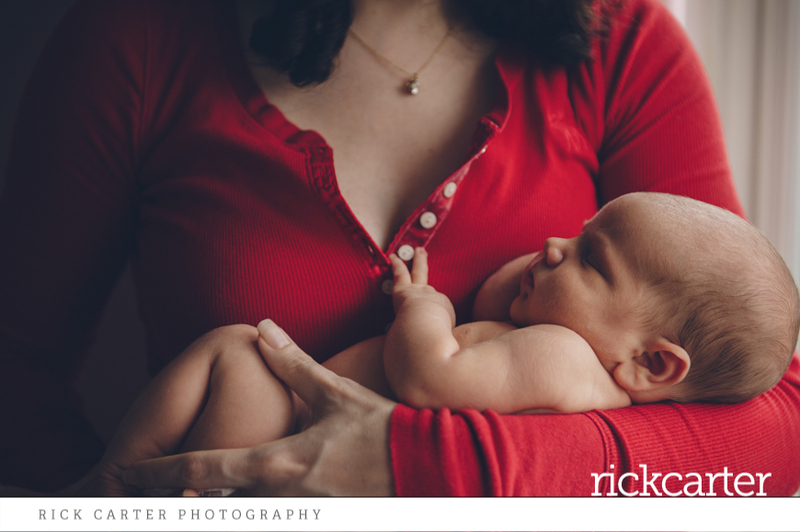 I take a laid-back fun approach to your session – you and your child are likely to be tired. 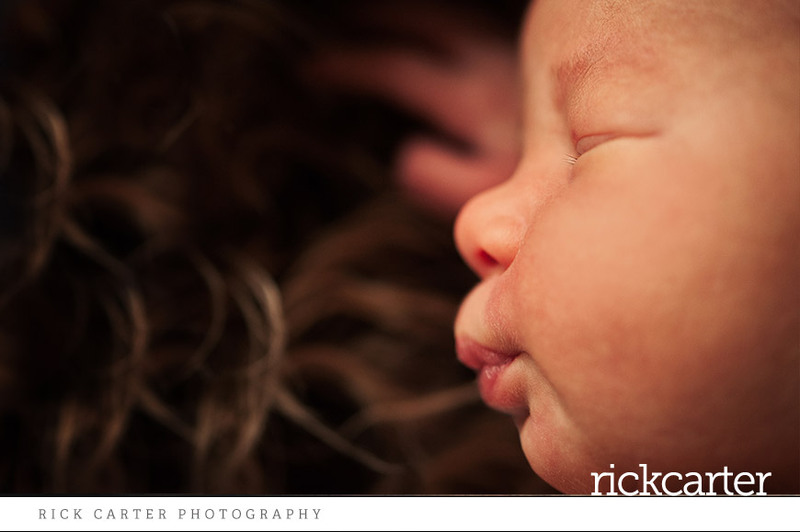 We won’t be able to take lots of photos at once – short and sweet little “takes” are the order of the day. 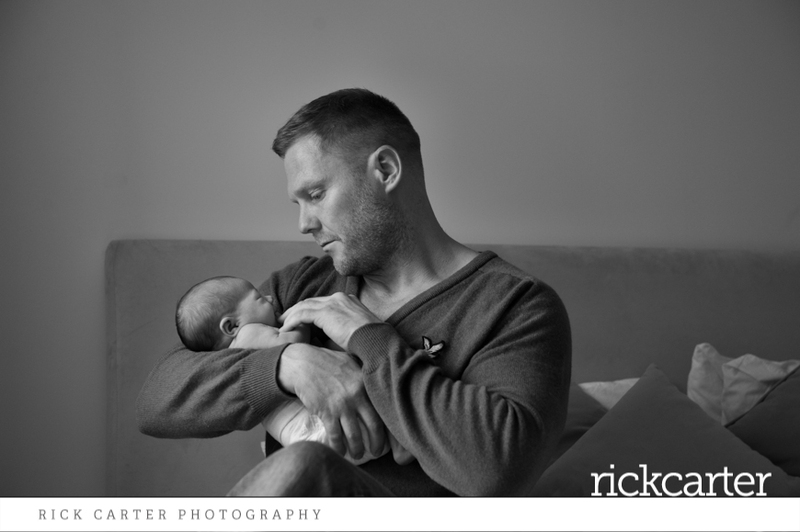 Breaks for feeding, cuddling and changing will of course just happen. 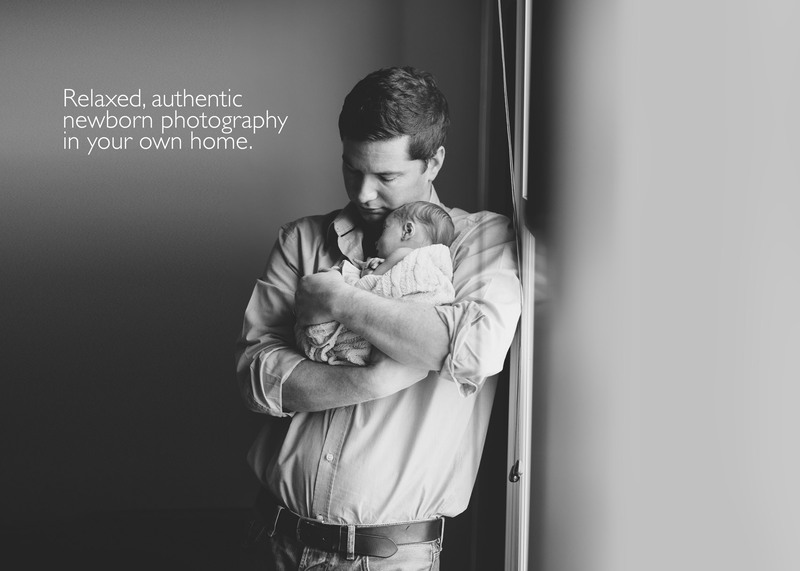 The sessions take place in your home. 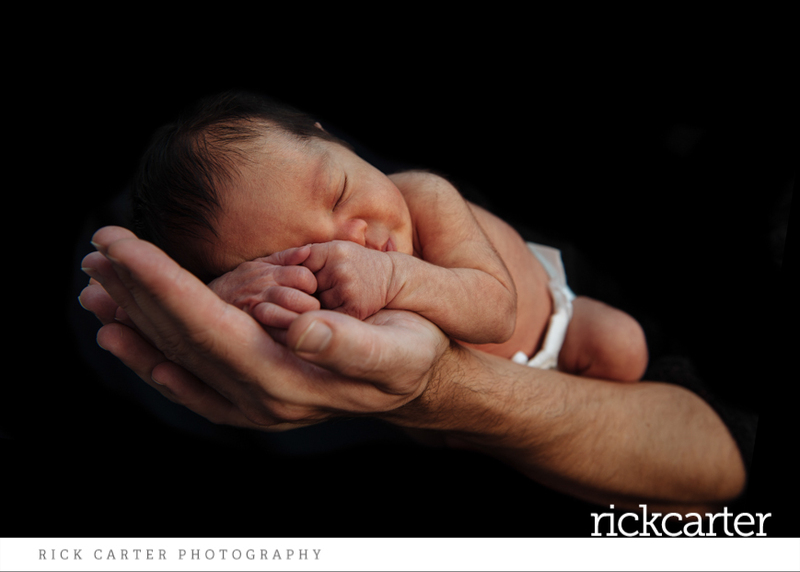 This works great for most people (you don’t have to go anywhere), everything you need is readily available, baby is familiar with the sounds and smells going on around them, and nursing/feeding breaks are possible and relaxed. 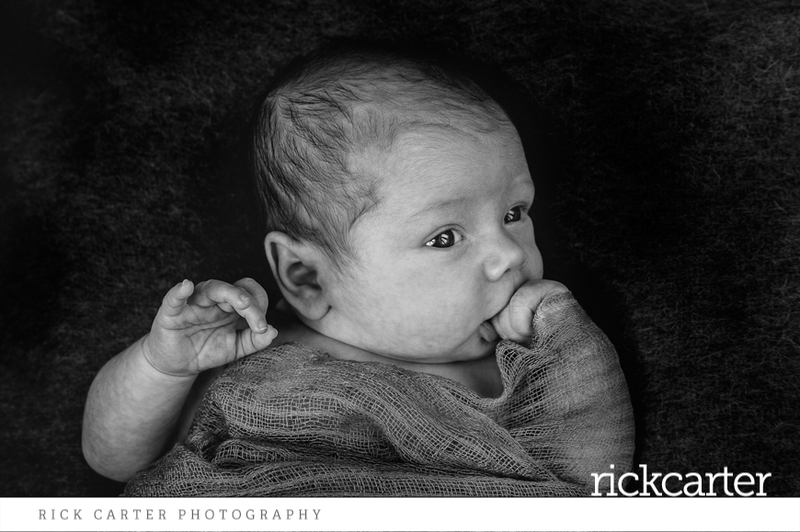 Having a staring contest with a newborn is one of the weirdest things you will ever do. And it is highly recommended. 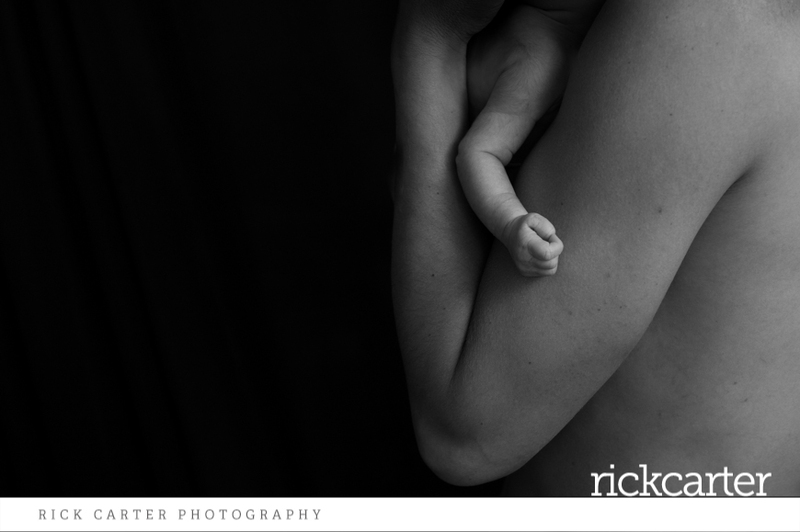 How might a newborn shoot at home work? 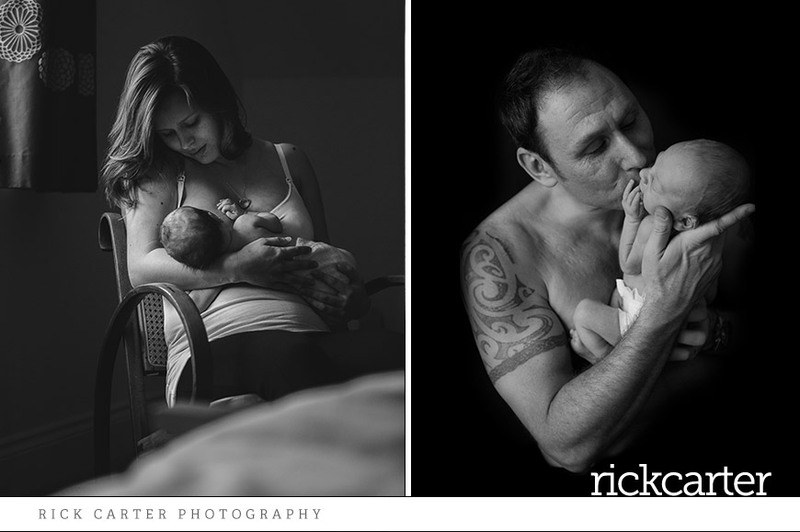 With newborns I tend to split the shoot into some staged baby alone time and some more natural shots of both baby and mum and dad. 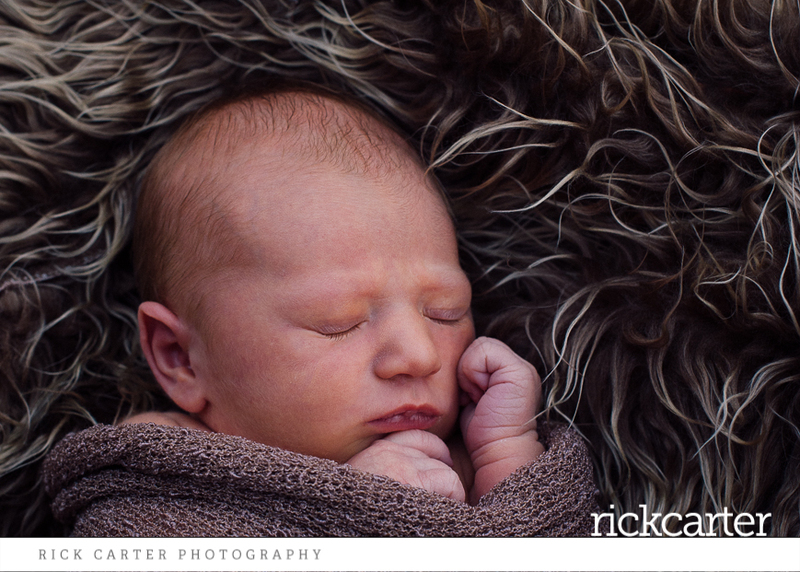 I love taking photos of newborns. 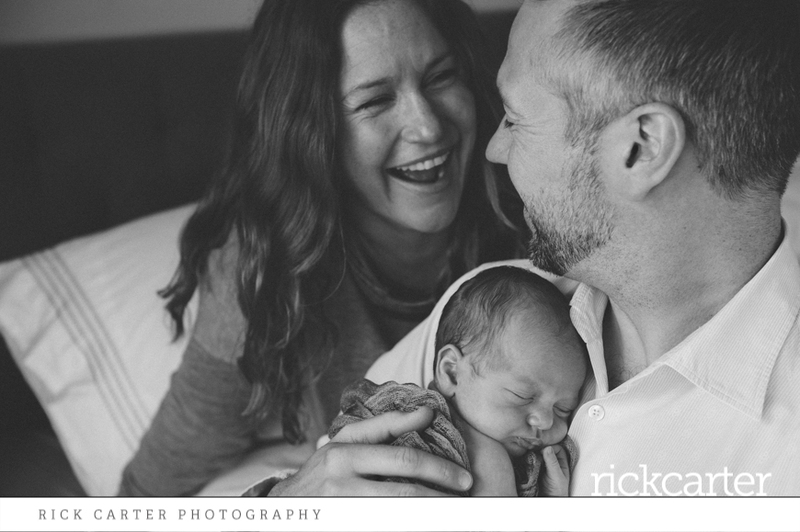 I do tend to prefer (or at least like as much) the photos of new parents with their new bundles of joy. 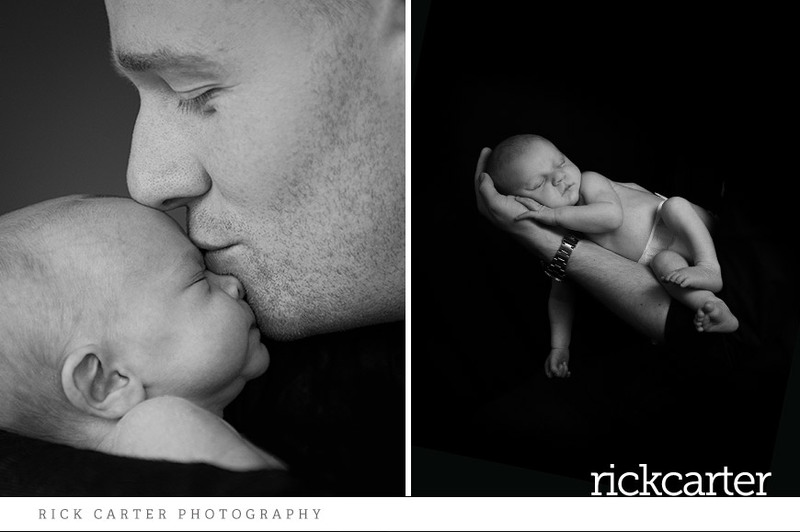 I want to try and capture baby photos that your baby will want to show when their first boy or girlfriend come round! 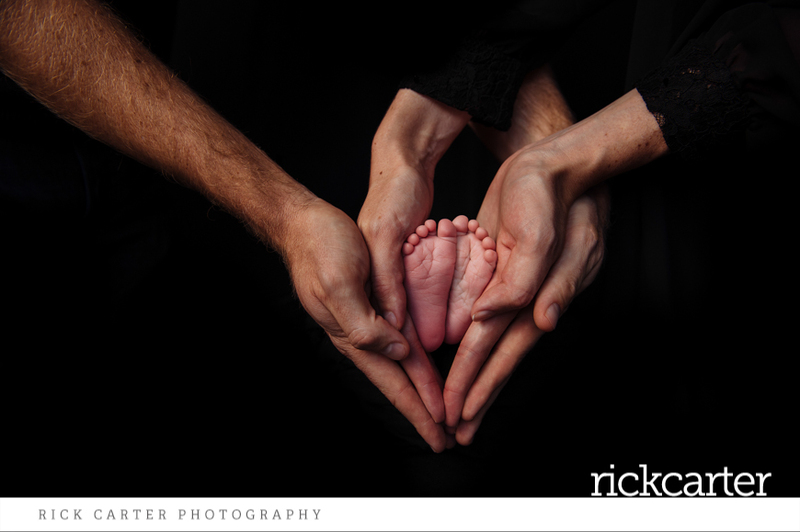 I want your pictures to be unique, natural portraits of your family – a lasting memory of this special time in your lives. 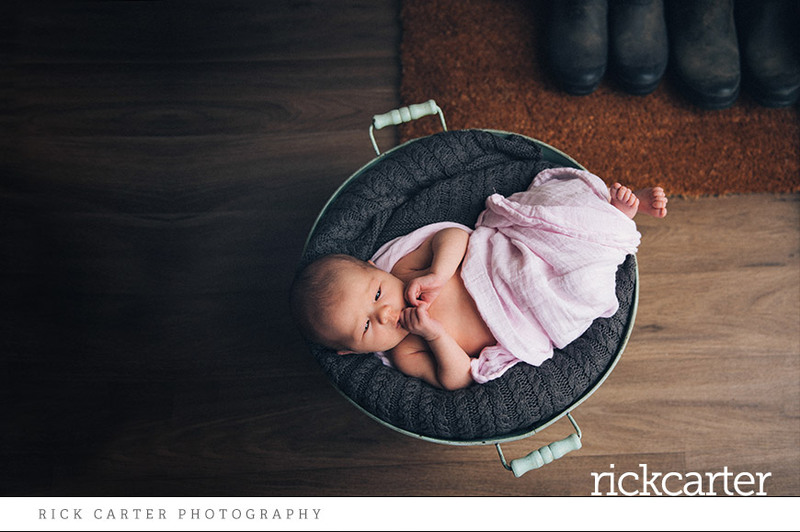 Do I need anything else for a newborn shoot? You don’t need props. 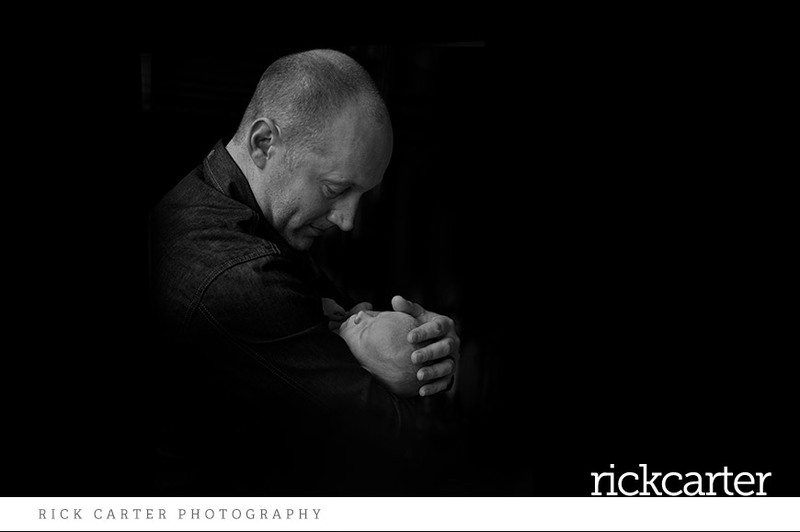 I have a lots of stuff that I bring to you on the day of our session, although chances are that you’ll have some things that we might try to incorporate – I enjoy the challenge of making a beautiful photograph that includes items of special meaning.